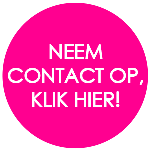 Hypotheek, via Mevrouw de Aankoopmakelaar het beste advies! The rules for obtaining a mortgage are often amended somewhat each year. And this year is no exception. So if you’re looking for a new home, it’s important to know what has changed. As in previous years, the changes in 2019 are aimed at improving the health of the mortgage market. The debt mountain must be reduced. But what does this mean for you? We’ve listed below the key 2019 mortgage rules for you as a buyer. Do you and your partner both work, and are you hoping to buy a house in 2019? Then that there are major benefits! You may include 70 percent of the second income in the calculation for the maximum mortgage. Both the market value of the house you want to buy and the level of your incomes have a bearing on the maximum amount you may borrow for a mortgage. Since early 2018, you may borrow 100 percent of the dwelling’s value. What is the NHG limit exactly? The National Mortgage Guarantee scheme (NHG) is a guarantee on mortgages up to a certain amount in the Netherlands. If you sign up for an NHG mortgage, then your borrowing is safe. That means that if you sell your house for less than you need to pay off your mortgage, the NHG has to repay the residual debt. But you also get a discount on the mortgage interest rate. However, you do pay a one-off provision of 1% over the entire mortgage of the dwelling (deductible). As of 1 January 2019, the cost threshold for an NHG comes at a purchase price that has been raised to € 290,000. So if you buy a house in 2019 for a purchase price of less than € 290,000, then you may arrange your mortgage with an NHG. If you are planning to implement energy-saving provisions, then the limit rises to as much as € 307,400. The Dutch Homeownership Guarantee Fund (Waarborgfonds Eigen Woningen), the organisation behind the NHG, intends this to stimulate greater sustainability of homes. From 2019, the premium for arranging a mortgage with NHG falls from 1% to 0.9% (for the entire mortgage amount). Last year saw new legislation take force in the Netherlands to improve the way home-owners’ associations operate [known as the Wet verbetering functioneren vereniging van eigenaars]. This is designed to lead to financially healthier home-owners’ associations and better building maintenance. A quarter of homes in the Netherlands are apartments. Some 1.2 million of these apartments are affiliated in 121,000 home-owners’ associations. However, research suggests that one third of the home-owners’ associations function poorly to moderately. They are not registered with the Dutch Chamber of Commerce, have too few reserves and have no maintenance plan. And that leads to property deterioration. Aside from the aspect of maintenance, greater sustainability also plays a role. The Netherlands is signatory to the European Energy Agreement, and on that basis must implement legislation that stimulates (investment in) green energy. In the past, home-owners’ associations were already obliged to maintain a reserve fund, but the law didn’t state how much the reserves should be. But home-owners’ associations with an empty bank account do not actually comply with the law. Since early last year, home-owners’ associations are now obliged to reserve 0.5 percent of the reinstatement value per year, or on the basis of a multi-year maintenance plan [the MJOP, or MeerJarenOnderhoudsPlan]. The latter of these is the legislator’s preferred solution. More and more banks are only arranging mortgages if the home-owners’ association is activated. Bear this in mind is you are going to buy an apartment, or get some good advice. Are there any requirements of the MJOP if it forms the basis of the reserves? Yes, the MJOP must include a concrete cost calculation. The term of the MJOP must be at least ten years, and the MJOP may not be older than five years. This ensures that the reserves always reflect the actual maintenance required. WHAT DOES MEVROUW DE AANKOOPMAKELAAR ADVISE? If you are planning to buy a house this year, then it is wise to first make an appointment with a mortgage adviser. They can provide you with the advice you need. Mevrouw de Aankoopmakelaar works together various mortgage advisers with whom we will organise an obligation-free appointment.